We usually don’t comment on the day to day or even week to week action in markets because we cater to investors with an intermediate and long term approach. However, the action on Wednesday November 28th is worth discussing because it has intermediate term implications. It was a curious day because stocks rallied on the concept that Fed chairman Powell changed his views to be more dovish (easy monetary policy), but he didn’t say anything new. 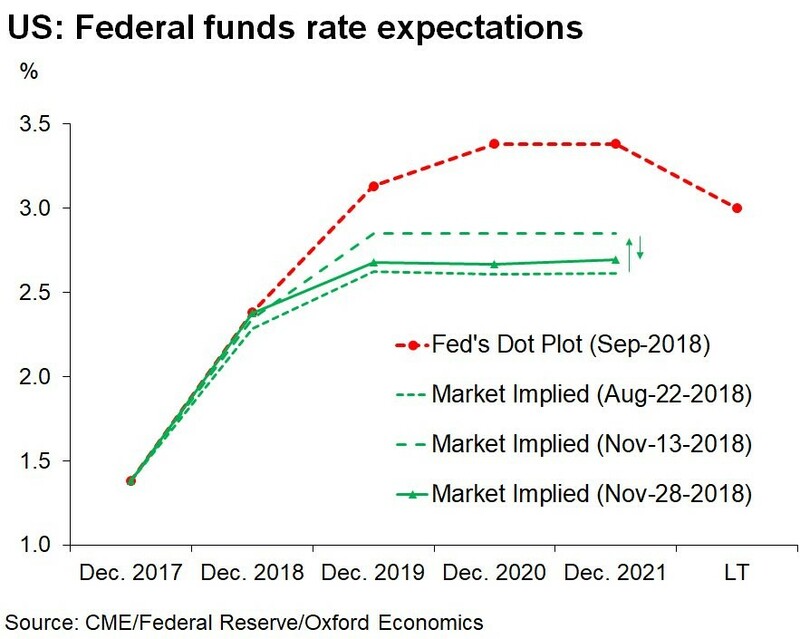 The Fed fund futures market increased its confidence in a December rate hike, but lowered the odds of hikes next year. 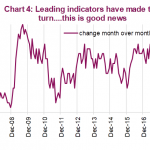 Specifically, the S&P 500 increased 2.3% and the Russell 2000 increased 2.51%, while the odds for a rate hike in December increased from 79.2% to 82.7%. 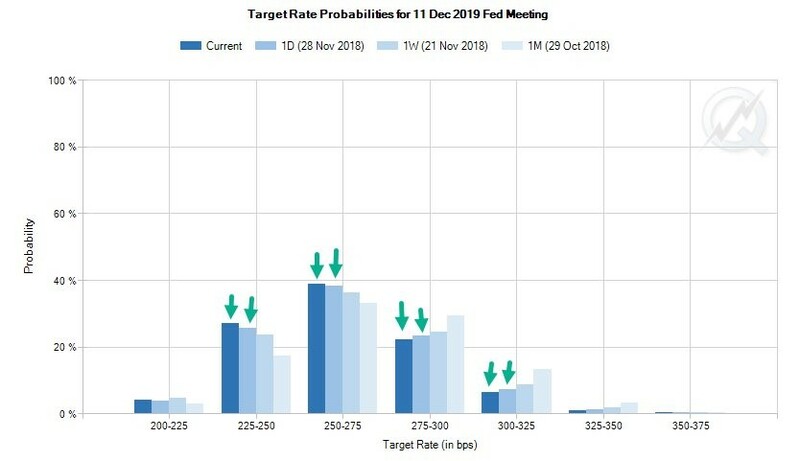 The odds of rates being 2.75% to 3% or higher by December 2019 fell from 33% to 27.6%. Stock traders think Powell ‘blinked’ or changed policy, but he didn’t. To understand Powell’s recent comments, we need to review two other statements this year. The first one is when the Fed got rid of the line in its statement where it claims policy is ‘accommodative’ in September. At the press conference after the Fed hiked rates in September, Powell claimed rates were still accommodative, but said the Fed removed the language because it “doesn’t want to suggest it has a precise understanding of where accommodative stops.” The change was made because estimates of the neutral rate vary. The Fed is closing in on the low end of that range. The scary part of that statement to the market was that rates might be a long way from neutral. That one part implies many more hikes are coming. However, it’s important to note, the Fed is decently far away from the middle of the neutral rate estimates, but is close to the low end. Powell is consistent, but quotes are taken out of context to make it seem like he keeps changing his mind. Powell keeps repeating the same thing, but the market sometimes reacts erratically. It’s either because of algorithms or misinterpretations because quotes are taken without an understanding of the entire point. 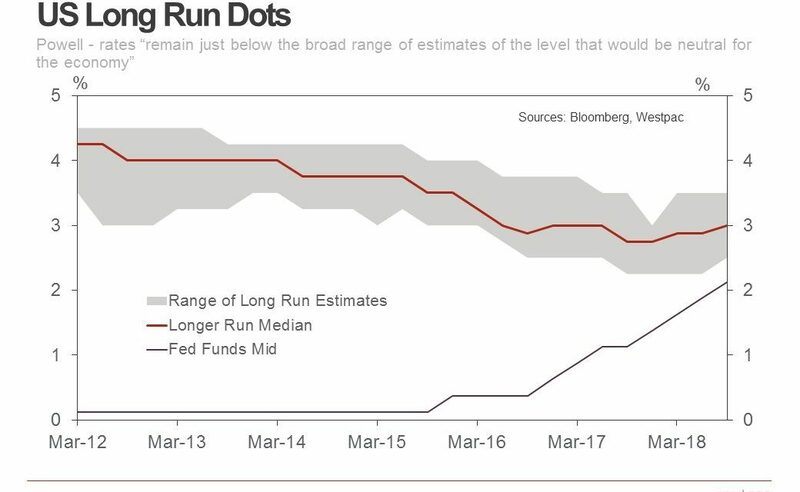 As you can see, Powell claimed rates are approaching the low end of the range of forecasts for the long run rate. The chart below supports his point using the dot plots from the September meeting. If Powell is saying something consistent with the September dot plot, how is this a policy change? The market’s erratic responses to these statements show why Powell is shrinking the length of the FOMC statement. He doesn’t want an innocuous line in the statement to cause volatility. The current rate is between 2% and 2.25%. The broad range of neutral estimates by the FOMC is from 2.5% to 3.5%, meaning the Fed is one hike from the low end. The Fed could stop at the low end, the mid point, the high end, or change the neutral rate estimates. The Fed is 3 hikes away from the middle of the range and 5 hikes from the top. The Fed fund futures are great at predicting short term policy changes, but aren’t accurate in the intermediate term. 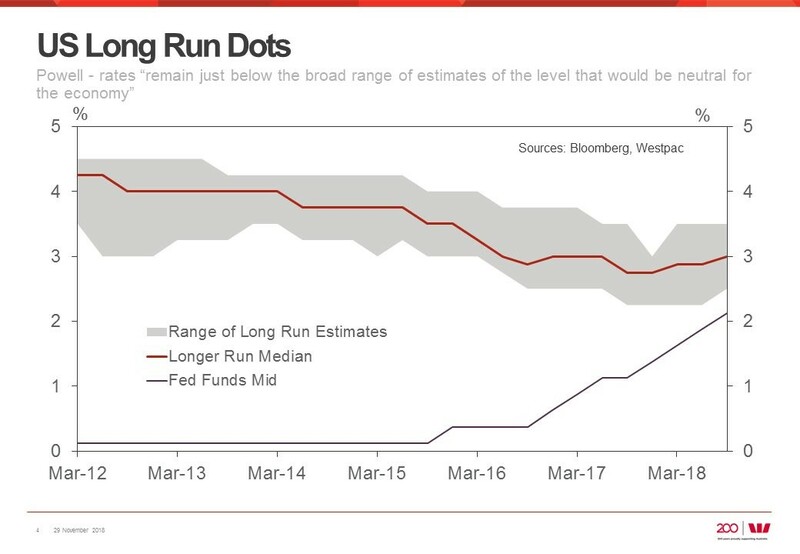 The chart below shows the market still doesn’t believe the Fed’s plans to hike rates in 2019. It’s also noteworthy that the Fed plans to hike rates slightly above the long run rate. There was another weak report on housing which calls into question the Fed’s rate hikes. The October single family new home sales report showed 544,000 sales which missed estimates for 575,000. The September report was revised from 553,000 to 597,000. The top chart below shows this weakening trend. The peak was 712,000 in November 2017. 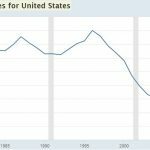 Year over year home sales were down 12%. The median home price fell 3.6% to $309,700. On a year over year basis, it fell 3.1%. Prices have been down on a year over year basis in 4 of the past 6 months. Supply increased by 336,000. 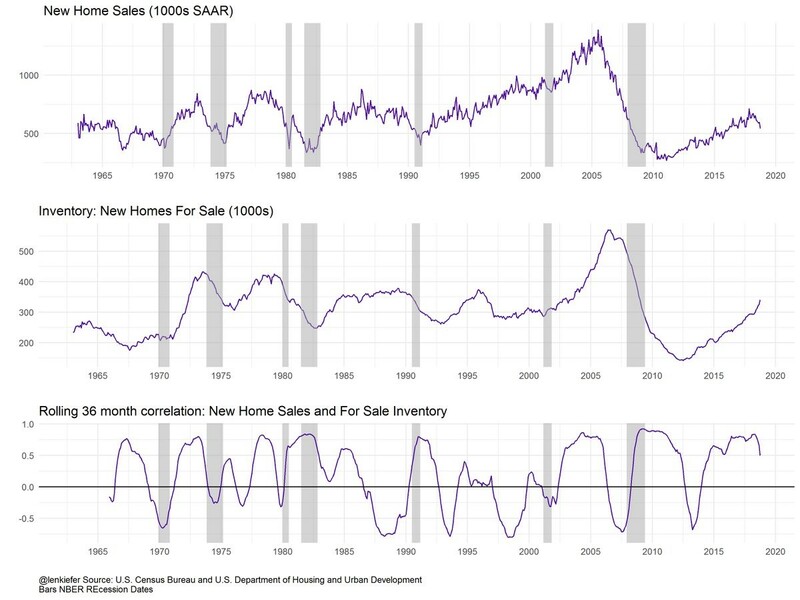 Since sales fell, inventories rose as the second chart shows. Supply relative to sales increased from 6.5 months in September to 7.4 months in October. Sales fell in all regions as they fell 7.7% in the south. As you can see in the chart below, this housing weakness is being reflected in home improvement stocks. 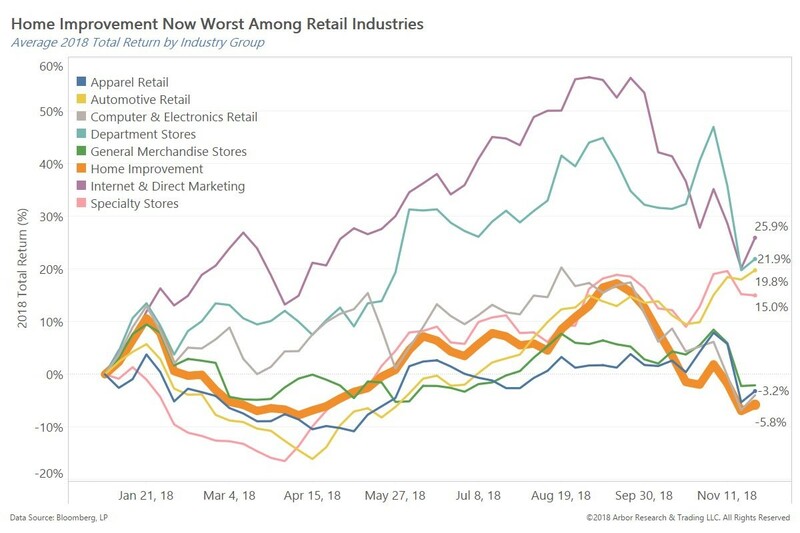 Their average 2018 total returns are -5.8% which is the worst out of the 8 retail categories. S&P 500 earnings estimates have been falling and the ECRI leading index is negative. This doesn’t look good for 2019 earnings. 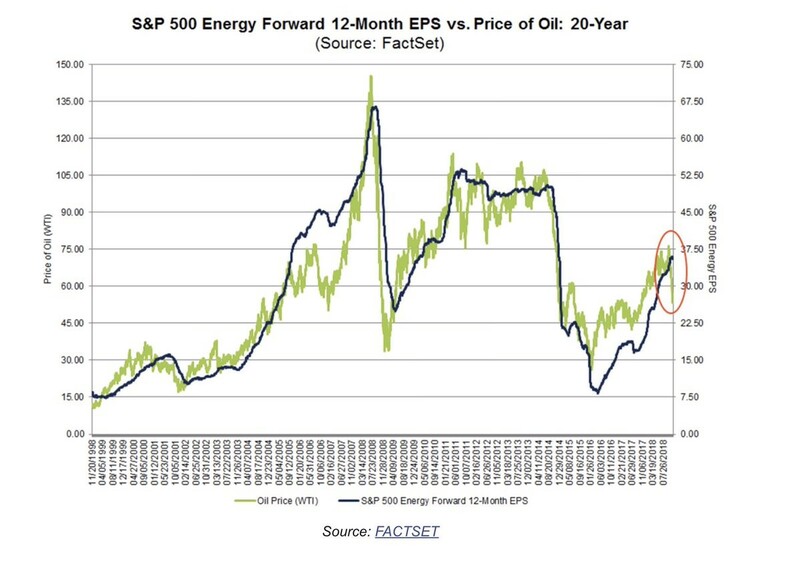 Furthermore, the chart below shows there is a 0.92 correlation between oil prices and forward 12 month energy sector EPS estimates. This means energy earnings will likely take a hit in the coming quarters. 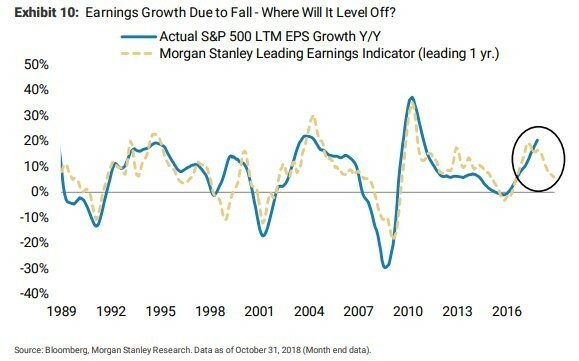 Energy might not be alone as the Morgan Stanley leading earnings indicator shown below expects year over year earnings growth to crater in 2019. 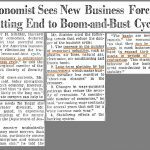 It has a great track record of predicting actual EPS growth. 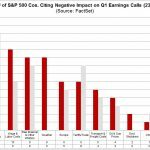 59% of the 484 S&P 500 firms that reported earnings by November 25th had their Q4 estimates fall after their results came out. Q4 EPS estimates have fallen 2.25% on average. The stock market rallied because traders think Powell changed his views to be more dovish. The 2.3% move in stocks isn’t a huge deal, but it’s important to recognize nothing has changed. The Fed is still hawkish and will raise rates in December. Just because the Fed thinks the neutral rate is between 2.5% and 3.5% doesn’t mean it is. The economy might falter in the first half of 2019 because of the 4 rate hikes in 2018. The housing market is already weakening partially because of higher rates. S&P 500 earnings growth is going to fall in 2019. Energy should lead earnings lower as the price of oil has cratered.